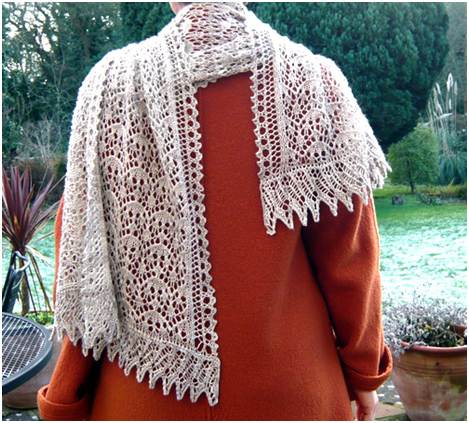 The stunning Dido Shawl and Dido Scarf pattern has been designed and donated to p/hop by Åsa Tricosa. The needle size is up to you but most people use 3.5-4mm, depending on their choice of yarn. To see what others have made from this pattern, please visit the Dido pattern page on Ravelry. To keep up-to-date with the lastest p/hop news including new pattern announcements follow us on twitter, join the p/hop group on Ravelry or bookmark this website.